Lok Sabha Elections 2019: "Priyanka Gandhi is a good woman. But her appointment also shows Rahul has understood that he cannot do politics alone, so he asked his sister Priyanka to help him," Sumitra Mahajan had said. Lok Sabha Elections 2019: Rahul Gandhi needs sister Priyanka Gandhi Vadra's help, Sumitra Mahajan said. Lok Sabha Speaker Sumitra Mahajan has been sharply criticised for her comment on Priyanka Gandhi Vadra's political debut, which is seen by many as too partisan for a post that should be above politics. Priyanka's entry into politics "shows Congress chief Rahul Gandhi cannot handle politics alone and needs his sister's help," Sumitra Mahajan said on Thursday. "Priyanka is a good woman. But her appointment also shows Rahul has understood that he cannot do politics alone, so he asked his sister Priyanka to help him," she told reporters in Indore. "I don't want to get into the family politics of the Congress, it's their own matter. But I would definitely say that a person who has leadership capabilities should be given an opportunity to come forward." 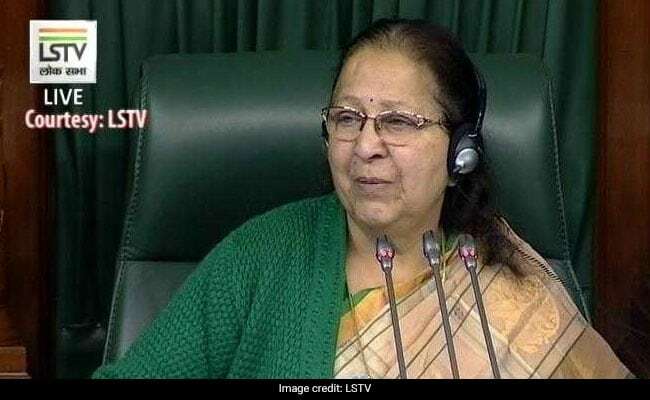 The veteran BJP leader, a parliamentarian since 1989, has been Lok Sabha Speaker since 2014. Asked whether she would contest the upcoming national election, Ms Mahajan said: "I have never asked the party for anything....I did not ask for a chief ministerial role, they decided I have to be Speaker, so I became Speaker. Whatever responsibility I get, I try to see it through in the best way possible." 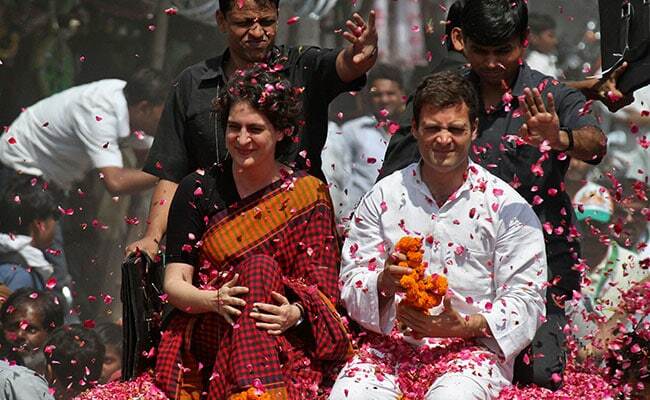 Priyanka Gandhi Vadra is two years younger to her brother Rahul Gandhi. Omar Abdullah, the former chief minister of Jammu and Kashmir, was among those who called her out for the political statements. "Ma'am you are the Speaker of the Lok Sabha. Can you save the cheap shots for when you no longer occupy that high office," tweeted Omar Abdullah. The Congress announced on Wednesday that Priyanka Gandhi, two years younger to her brother and Congress president Rahul Gandhi, will be general secretary in charge of eastern Uttar Pradesh. The appointment marks the political launch of Priyanka Gandhi, whose role in Congress politics was confined to the backroom till now. Ms Mahajan has often been accused by the opposition in parliament of bias. Congress leader Manish Tewari said: "We would politely urge the Lok Sabha Speaker to focus her attention on the internal matters of the BJP. As far as Congress party is concerned, it is functioning well without her advice and will continue to do well."